Busch’s No. 41 Monster Energy/Haas Automation Ford was tight through the first half of Stage 1, dropping him to 10th by lap 32. Crew chief Billy Scott opted to keep Busch out during green-flag pit stops, allowing Busch to assume the lead on lap 40. On lap 51, Busch radioed to his crew that his car was, “Feelin’ good.” Team decided to stay out 10 more laps before pitting. Busch gave up the lead on lap 60 to bring the No. 41 machine to the pits for four tires and fuel. At the conclusion of Stage 1, the No. 41 team gambled on pit strategy, taking only right-side tires and fuel to win the race off pit road. Started second, finished seventh, earning four bonus points. On lap 88, Busch took the lead from fellow Ford driver Joey Logano. After a caution on lap 111, Busch brought his Monster Energy/Haas Automation Ford to pit road for four tires and fuel along with a tire pressure adjustment. Restarted 10th on lap 115. At the end of Stage 2, Busch pitted for four tires, fuel and a wedge adjustment. Started ninth and finished sixth. Busch was running in the fifth position by lap 192. Busch took advantage of a caution on lap 208 to pit for fuel and right-side tires only to again win the race off pit road. This strategy gave Busch the lead on lap 210, and he led the next 14 circuits around the 1.5-mile oval. With only two fresh tires, Busch eventually relinquished the lead to those who had taken four new tires, and he ultimately finished sixth in the Kentucky 400. This was Busch’s 10th top-10 finish of 2018. 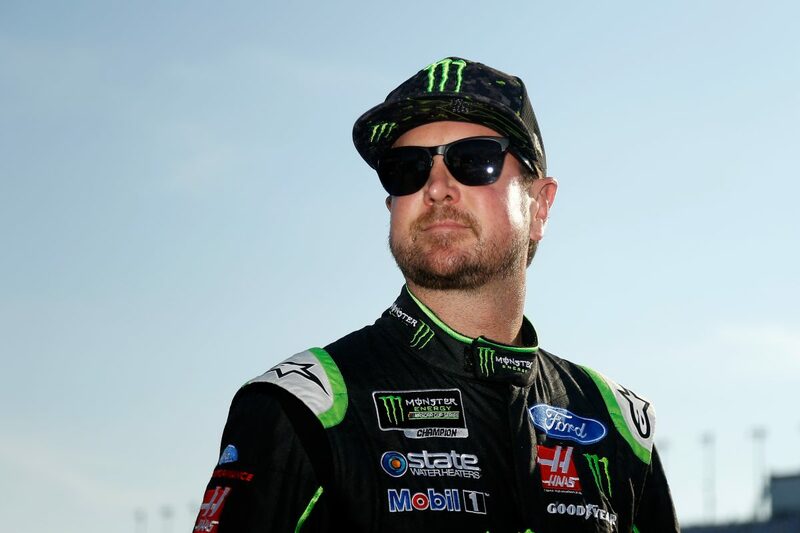 Busch earned his fifth top-10 in eight career Monster Energy NASCAR Cup Series starts at Kentucky. Busch led three times for 45 laps to increase his laps-led total at Kentucky to 96.